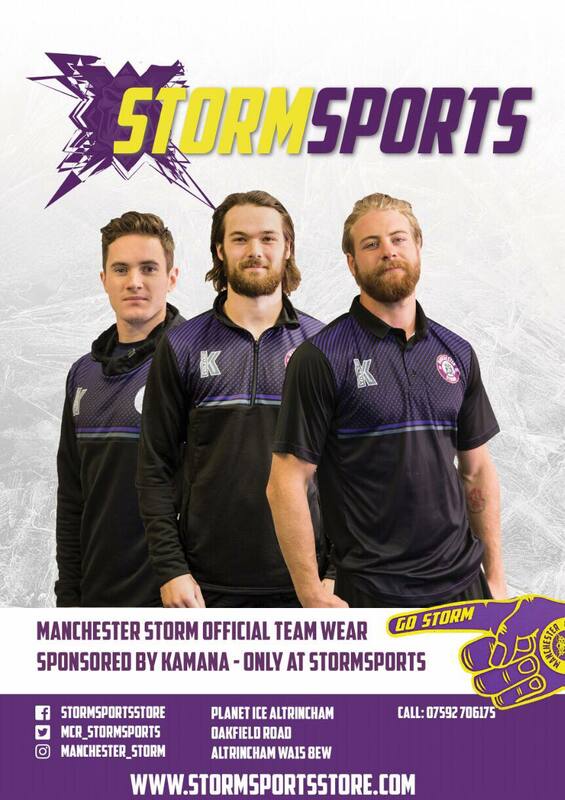 Your Go Goodwins sponsored Manchester Storm, play their second weekend of the EIHL season this weekend, seeing a Challenge Cup game against Steelers across the pennines at FLY DSA Arena 19:00 face-off, Saturday 15th. 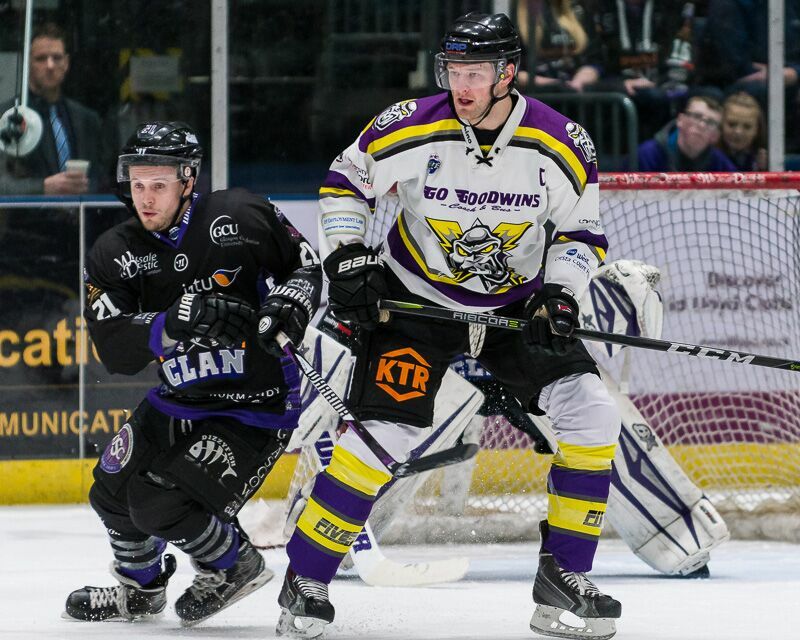 Sunday 16th then sees visitors Glasgow Clan in the Storm Shelter for a home game, face-off at 17:30. Last weekend was physical and well-fought against Nottingham Panthers. With four Storm imports injured/recovering from surgery, tiredness eventually got the better of the team, with disappointing results. However, earlier in the week Storm announced new player, Canadian forward, Dylan Anderson in order to take some strain off the rest of the team. Things got both feisty with Steelers last season, with Storm winning 7-5 a thrilling game away at Sheffield in February. After being down by 2-3 goals throughout a lot of the game, Storm successfully managed to end the Steelers nine streak win at home. The Storm are in a Challenge Cup group of three with Nottingham Panthers and the Steelers this season. After missing out last year, yet maintaining the second position in the league, Head Coach, Ryan Finnerty and the team will be doing everything they can to turn the tables and succeed in this season’s Challenge Cup. For those travelling over to the game on Saturday, you can purchase your tickets here. It’s been a productive Summer for Clan’s new (ish) coach, Pete Russell, who was announced as John Tripp’s successor in April. The Clan roster looks to be quite physical this season, with EIHL characters such as Brendon Connelly and the return of new captain Zack Fitzgerald. New to Clan and the EIHL is British player, Jack Musil – attendee of Ontario Hockey Academy and product of English youth team, Kingston Crunch. Russell has also acquired some new imports, including Danish player, Rasmus Bjerrum and Canadian defenceman, Tyson Wilson. You may notice a few familiar faces to this season’s Clan roster, as ex-Storm Matt Stanisz, Gerard Hansen, Scott Pitt and Matt Beca moved to Glasgow over Summer. We hope you will give them all a warm welcome as they step onto the ice at the Storm Shelter, and we wish Stanisz a speedy recovery. Games last season were competitive, with Storm winning four of their six games against Clan. With a variety of players swapping teams again this season, it will be interesting to see what happens. Manchester Storm’s next home game is a Challenge Cup match against the Steelers Saturday 22nd September, 19:00 face-off, and away on 23rd September against Dundee Stars, 17:00.